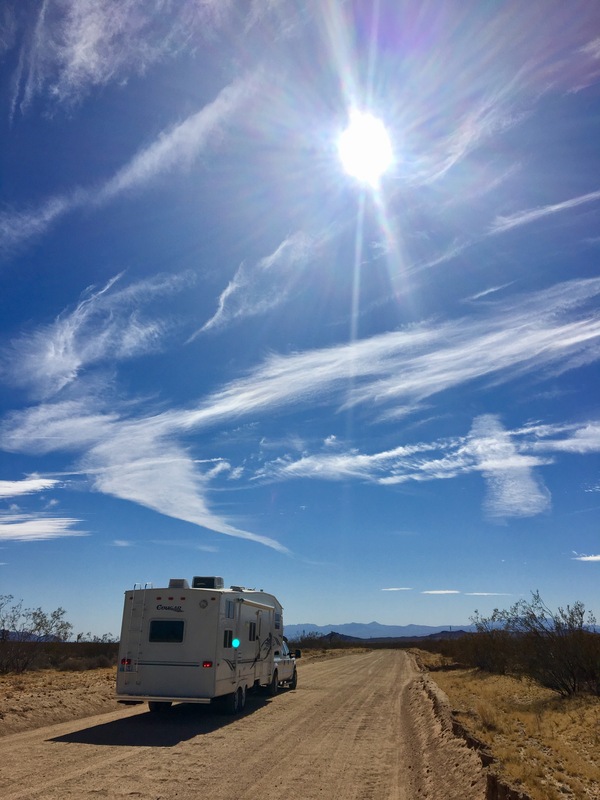 As the moon passes in front of the sun on Monday and everyone in America (except for the security guards at the bank, hopefully) looks up to see this special moment, we will also be celebrating another once-in-a-lifetime kind of moment…1 year in the RV! Watching the eclipse near Glacier National Park. On this day 1 year ago we were hanging on tight for the roller coaster ride. We started the morning with the final hugs and kisses smothered on our beloved Mocha as we dropped her off for her “Spa Year” with Barb. Then we went to say goodbye to our church family who poured on the love, the encouragement, and the prayers. Then we went by our house to hand keys to our new amazing renters, and drove away to our first campground home. I was so happy, and so sad, and so so so TIRED. The weeks leading up to our launch were some of the most emotionally and logistically challenging ones of my life, and by the time we hit the road I think all of us were just running off the fumes of our own excitement about this adventure. Driving away from our house in Wenatchee, with our new one in tow. Just kidding! We’ve had an awesome year on the road, and I wouldn’t trade it for anything. But I’m still me, and I gained none of the things listed above. We did, however, have some experiences as a family that I hope we never forget. We slept under the shadows of giant redwood forests and under vast, open starry skies in the desert. We watched more than one fantastic moon rise. We fell asleep to the sound of rain on the camper roof, to ocean waves, to train horns, and interstate traffic. We’ve woken up to roosters, mockingbird songs, rainstorms, and squirrels running across the roof. We’ve jumped out of bed in the middle of the night to put the canopy away during a sudden storm, to chase our camping chairs which were blowing down the road, and to pick kids up off the floor who had rolled out of bunk beds. We made castles in the sand of both North American coastlines. We drove on Route 66, the Blue Ridge Parkway, the Going-To-The-Sun Road in Glacier N.P., and my childhood driveway. We touched sequoia trees with our hands and minnows with our feet. We saw spanish moss hanging from limbs above the bayou and purple fireweed flowering in pristine alpine meadows. We saw the Rocky Mountains, the Sierra Nevadas, theCascades, and the Appalachians. We listened to our “Family Jams” playlist on long drives. We had good moods, bad moods, hangriness, silliness, exhaustion, and excitement. We ate Dunkin Donuts in New England and cheese curds in Wisconsin. We had pizza in Chicago, chowder in Boston, crawfish in Mississippi, frog legs in Oklahoma, and lobster in Maine. We visited the Niagara Falls mountain of water, roaring along the US and Canada border, and the Niagara Falls rock formation, a silent monument below the ground in Mammoth Cave National Park. We saw giant statues of presidents in D.C. and ancient petroglyphs on stone walls in Colorado. We celebrated holidays that we made up, and we grieved painful losses from far away. We had dance parties where everyone had to pretend their feet were glued to the floor, and sometimes we cried because we missed our friends. We got Military ID’s, metro cards, and library cards. We pulled our house over the top of two continental divides and underneath the waters of the Chesapeake Bay. We left flip flops in the sand at the Gulf of Mexico and North Carolina playgrounds. We hiked in wet shoes because they were left outside overnight in the rain, and we explored places barefoot because we forgot our shoes that day. We’ve climbed onto Stumbo’s roof to scare away squirrels, to sweep off ants, and to brush away the snow. We have dipped our feet in 3 of the Great Lakes. We’ve had mosquito bites, tick bites, possibly one poison ivy rash, and one leech. We’ve seen regions proud of their local favorites – wild rice in Minnesota, maple syrup in Vermont, salt water taffy in New England, and we’ve learned that everyone claims Sasquatch is really from their neck of the woods. We’ve worn shoes with toes peeking out, shirts with worn cuffs, jackets that wouldn’t close, and pants with holes in all sorts of places. We’ve had so many days where multiple meals came out of a backpack – countless tortillas smeared with sunbutter, banana, raisins, honey….sooo many boiled eggs….pasta salad out of ziplocs. We have stood in some of the most crowded spots in our country and some of the most remote. We’ve yelled to each other over the roar of crowds and traffic. And we’ve heard our ears ring in the silence of canyons, where you can almost hear the breath of God in the stones and wind and flowers. We’ve left more than one campground not knowing where we were driving to next. A few of our things have been lost or stolen along the way, but we are ending the year richer than we began it. I would love to tell you that I am wrapping up this year with a feeling that we are all more the same than we are different, and that I have connected with individuals and the world in bold new ways through our journey. But to be honest, I have more often been struck with an intense loneliness from realizing that everyone else is not as much like me as I had assumed. I am humbled by the vastness of our country (not to even mention our world), and I feel small and insignificant. My patriotism has been questioned as I read through American history with the girls, and my confidence in my religious traditions has been shaken by current events. So, in contrast to the feeling that I have all sorts of new things figured out, the opposite is more true. Without the routine, comfortable constructs of my life in Wenatchee, I feel like my thoughts about faith, relationships, nature, politics – even who I am and how much it matters to figure that out – have all been pretty thoroughly deconstructed. It feels like all the different pieces of my life have been disassembled like a bunch of building blocks, and I’m sitting in the middle of the pile trying to decide how I want to put them back together or if I even want to at all. But above all, I am grateful. Grateful for the opportunity to have these experiences with my kids. Grateful to have faced the challenges of intense family time, where everyone’s moods at every moment affect everyone else. Grateful for the hours and hours and hours of time poured into a 13-year old marriage, creating what has been the best year together so far. Grateful for time to listen – to great music while staring out the window at the ever-changing scenery, to waterfalls cascading over rocks into frigid, bright blue pools, to the sound of pronghorn antelope nibbling on crunchy grass on a hillside, and to the giggles of 2 sisters becoming best friends out of necessity. Grateful for time to think – to consider what goals we have as individuals and as a family, and to contemplate and be creative in ways I haven’t been for years. And so, for all of these reasons and some more not listed, we’ve decided not to go back home…yet. The cards we’ve been dealt make this lifestyle possible for right now – a job that can be done remotely, a great rental market where we own property, and 4 healthy family members, just to name a few. We have the desire and the opportunity to make these experiences right now, and either could disappear at any time. Some people are dealt similar cards, but choose to hold on to them for whatever reason. Sometimes that works out fantastically, but there’s also the chance that those cards won’t be there later when you feel ready to play them. So while the chance is here, we don’t want to wrap up the experience too soon. I have a feeling that this will be a year that we talk about for the rest of our lives. The same way that the tiny moon can move in front of the sun today, and cast a shadow that can make the giant burning ball of gas that sustains all life on earth seem to disappear, I think this short experience, this collection of decisions we made as a family, will have a disproportional impact on all of our other years and decisions, and the way we relate to each other for the rest of our lives. Do you ever have a moment where you realize you are doing exactly the thing you’ve been waiting for and you just want to freeze time? Like if you could just submerge all of your senses into embracing a moment, then maybe you could somehow store it up to enjoy it later, after it’s over? Whether it’s a perfect, quiet moment on a walk, or in the middle of wonderful celebration, or spending time with a loved one – you get that sickening realization that it will be over soon, but you wish you could just carry all of the feelings with you? Our desire for permanence or conclusion shows through (which I believe speaks to the fact that our spirits where designed for eternity), in a world where the only constant is change. That’s exactly how I feel right now. I feel like this adventure is one of the greatest gifts of my entire life, and I just can’t appreciate it enough every second. I let whole days slip by feeling lonely or grumpy or put-upon by kids. I fall asleep early or watch a movie instead of writing another blog post, or reading another book by a great thinker, or going outside to look at the stars. This is it. This is it…this is it. I want this moment to last forever. Sarah, Brad, and Girls, I have really enjoyed your Blog! Sarah, you need to think about writing a Book, of your Amazing Travels, you are very talented, in your story telling, and how you make your words, “Come to life!! your words are always so beautiful but these are especially poignant and exquisite. i feel a huge sense of excitement for you but also a deep ache to be there with you. i love that you’re ending with more questions than when you started…i think meaning is more important than answers. deconstruct away! and live the questions! Thanks for sharing this quote, Sunny! I have only read a little bit of Rilke’s stuff, and I think I’ve heard part of this section before, but this definitely makes me want to read more of his stuff! Maybe I’ll add some of his work to the stuff piled beside my bed that I should be reading instead of watching 30 Rock… recommendations for a certain book or collection to pick up? THIS! You put into a few words what we have found to be true of our 7 years of travel. And now that we are launching our youngest, we are finding that our stack of building blocks have been knocked down again and we are trying to figure out what to build with the remaining pieces. Yet, we are excited to start building a new block tower.